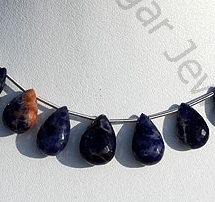 Ratna Sagar Jewels brings to you heartwarming collection of Sodalite Gemstones known for its powerful healing qualities. 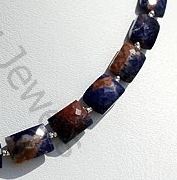 Its great crystal healing helps the wearer to get rid of insomnia, digestive problems and bone related issues caused due to calcium deficiency. 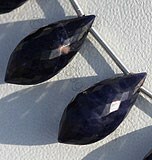 Also, the stone enhances logical thinking, efficiency and rationality. It’s a stone of communication. All of us know to succeed in today’s world communication plays a significant role. 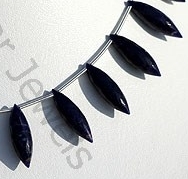 Wear the stylish Sodalite Gemstone jewellery and impress others, win arguments and hearts with your impeccable communication skills. 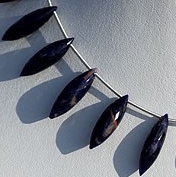 If you are in love then adorning the gem will develop honesty, commitment and loyalty in the relationship. 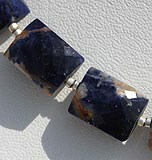 Also, the Sodalite is a favorite of students as it increases intelligence, learning and knowledge. 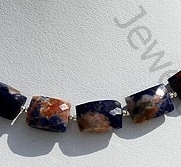 For people walking on spiritual path the stone helps them to connect with the universe. 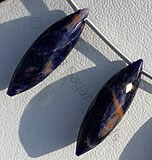 We offer you supreme quality Sodalite in lapis blue and orange color. Its properties will do miracle in your life. 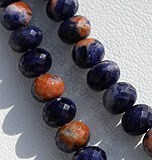 Bring positive changes in life by adorning Sodalite Gemstone Beads in jewellery. 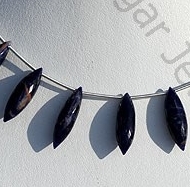 We offer you Sodalite in array of eye-catching shapes like heart, faceted, Rondelle, and oval, choose the one you love, all these shapes comes up as evergreen choice for jewellery. 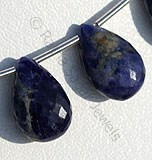 Buy marvelous Sodalite Gemstone at a wholesale price. 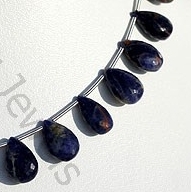 Natural Sodalite Gemstone possess property of opaque and are available in deep blue Color with orange specks in micro both side pointed cut, Chandelier Shape. 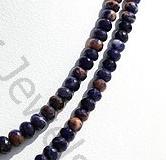 Natural Sodalite Gemstone possess property of opaque and are available in deep blue Color with orange specks in micro cut, Flat Pear Shape. 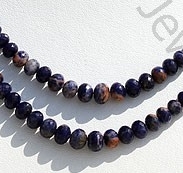 Natural Sodalite Gemstone possess property of opaque and are available in deep blue Color with orange specks in micro cut, Rondelle Shape. 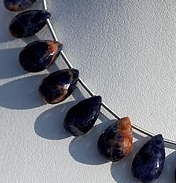 Natural Sodalite Gemstone possess property of opaque and are available in deep blue Color with orange specks in micro cut, Long Rice Dew Drop Shape. 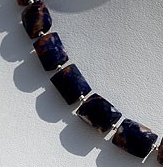 Natural Sodalite Gemstone possess property of opaque and are available in deep blue Color with orange specks in micro cut, Rectangle Shape.